Last week I took a trip to Hull, along with some others from Soup Collective, to present Personal Museums at the Arts Council conference Digital Utopias. Whilst most of the day was spent showcasing the installation (we carted it up from Manchester), I also managed to sneak into a couple of the talks. I was really struck by the work of Yes Yes No, presented by MolMol Kuo: especially this project – Connecting Light. 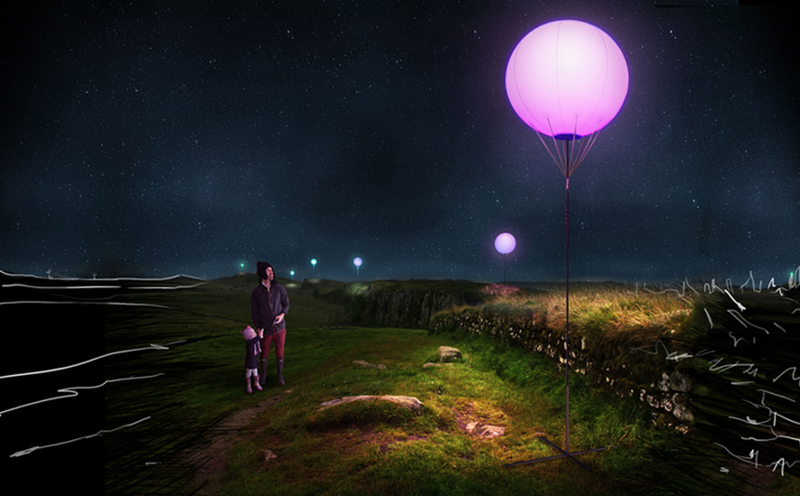 It’s such a wonderful use of technology, designed to ‘bring joy’ (in MolMol’s words), and allows people to control huge light-up balloons dotted along Hadrian’s Wall. As well as engaging the community in the environment in a totally new way, it just looks beautiful. The day highlighted many projects that show how technology can open up new possibilities for artists, which was certainly the case for our project, Personal Museums. It also made it clear how vital collaboration is for these projects. Maybe I’m still feeling a bit idealistic in the afterglow of the event, but it feels like with the right idea, and the right people working together, anything is possible.